Managing a pond can be a challenge in and of itself. Apart from keeping up with the cleaning and maintenance schedule, you also need to stay abreast of the water condition and ensure it’s as healthy as possible for the wildlife that call the water home. 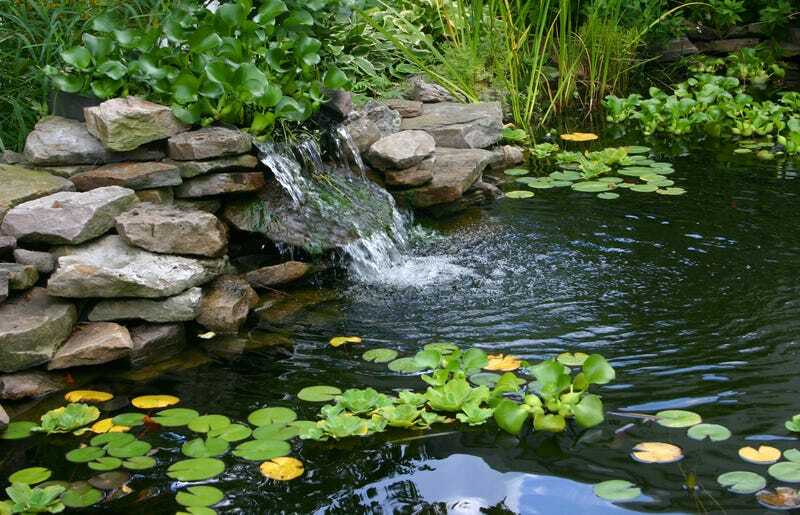 A major part of that last part is ensuring the proper balance of bacteria in the pond itself. While some bacteria is, of course, not beneficial to the water quality and should thus be removed, there are some strains that add quality and life-giving properties to the pond, and should be encouraged to grow. Known as beneficial bacteria, these microbes occur naturally in lakes and ponds. They are the organisms directly responsible for processing the dead, organic matter that builds up over time along and around the waterbed. Ideally, they’d occur on their own and do their work without human interference, though in many pond or lake environment, this isn’t the case and supplemental chemical replicants are required to assist, which we’ll discuss later in this article. To break down the organic compounds, myriad types of bacteria go to work, and each plays a vital and essential role in the process. One such example is aerobic bacteria. Let’s take a look at this type of microbe first. Aerobic bacteria, as their name suggests, utilize oxygen to perform their tasks. They generate enzymes that help them to break down the organic compounds and matter lying in the pond. They then absorb that matter into their own cells and use it as nutrients. With the aid of oxygen, they are able to work quicker and more effectively than their counterparts, anaerobic bacteria. These are bacteria that perform the same function as aerobic bacteria, yet they do so without the use of oxygen. The results are the same, but the process to get there takes a longer time and can be ineffective compared to the results generated from aerobic bacteria. While absorbing dead, organic matter is a chief role of the beneficial bacteria, there are some microorganisms that also undergo a process known as denitrification. This means that they transform nitrate compounds that occur naturally in your pond into nitrogen gas. When it’s in gas form, the nitrogen is therefore allowed to escape the pond and is removed from the environment. This process is important, because an overabundance of nitrate can cause myriad negative effects to both the pond itself and the ecological environment. Moreover, some beneficial bacteria also absorb soluble phosphorus, a chemical found in pond water, and turn it into both calcium phosphate and calcium iron phosphate. These new minerals are insoluble and unable to be absorbed by the pond algae. Thus, the beneficial bacteria help keep those pesky algae blooms to a minimum and enhance the aesthetic appeal of the pond or lake. Moreover, these bacteria can also help to keep the ratio of nitrogen to phosphorus at a manageable and healthy level, as this can help eliminate certain types of harmful algae and encourage the growth of other, more beneficial forms. Let’s review these different types briefly. In freshwater ponds, planktonic green algae is a beneficial growth that can help form the very beginning of the complex and intricate underwater food web. It’s the lifeblood of the lake and without it, many helpful species would be at risk. On the other hand, there are also negative forms of algae that are important to understand. Two such types are filamentous algae and a species known as bluegreen algae. Both of these are present and allowed to thrive when there is an excessive amount of phosphorus in the water, a situation that beneficial bacteria can help to remediate. While these bacteria are inherently helpful and necessary to the water system of a pond or lake, the reality is that sometimes, they are not present in high enough amounts to make the important difference they’re required to make. That’s where science and chemistry come in. Experts have developed a process in which they can develop and cultivate beneficial pond bacteria that can be added manually to water to restore that essential balance. When the chemicals are added to the pond, they immediately go to work as naturally-occuring bacteria would, assisting in the decomposition process and eliminating excessive nutrients from the water. The standard process for adding these chemicals to the pond is to introduce a large amount of them at first to establish the bacteria community, then gradually reduce the application to just a maintenance dosage to keep the levels up. Over time, the bacteria develop and replicate and the pond environment is rebalanced. Most will settle along the bottom of the lake, especially at first, and some will go to work on the sides of the pond. Other cells stay in the water column, where they help to process the dead phytoplankton present there, and also assist in the breakdown of other soluble matter. If you’re serious about pond management and have recognized an improper or inadequate bacteria balance in your water, incorporating a routine of supplemental beneficial bacteria should do the trick. This is especially important if you’ve noticed an overgrowth of negative algae or have a chemical imbalance present within your water system. A healthy and thriving pond or lake environment is dependent upon care and nutrition, as well as a properly managed food chain. Beneficial bacteria, though they may be small, provide a powerful punch in these categories and can just the difference your pond needs.